Establishing and growing a business-to-business (B2B) startup requires a unique approach to strategy and execution. You need to develop a clear vision for your product or service offering; relentlessly focus on specific target market segments and their needs; and drive an aggressive competitive position that disrupts the competitive environment. The StrategyFirst methodology is a powerful tool for helping you plan and execute successfully. As a B2B CEO, you face a different kind of customer profile and a unique set of demands and expectations in the marketplace. Meeting those requirements, and successfully delivering consistent quality and excellence, will be the keys to your ability to scale -- whether you are in the pre-venture, post-launch or early ramp-up phases of your B2B startup. The StrategyFirst Action Assessment is a complete yet carefully designed evaluation that can be performed in as little as 30 days, and is focused specifically on preparing to drive new revenue into your business, from pre-launch through startup and into the growth phase. Every assessment process is unique, just as every startup is unique. However, at its core the StrategyFirst methodology works because it is rooted in a series of key factors that can guide future efforts to grow business impact. At its core, B2B startup business growth relies on four key factors: sales effectiveness, marketing precision, strategic clarity and execution, and leadership capacity. We refer to these four competencies (sales, marketing, strategy and leadership) as the business growth focus areas. Whereas most CEOs of established enterprises will focus on one or more of these at a time, the StrategyFirst Startup model examines all four simultaneously over a 30-45 day process, uniquely designed for B2B startup companies. "Build it and they will come" is not an effective sales strategy, no matter how incredible or groundbreaking your startup may be. Instead, you need to develop a clear picture of the most effective and efficient pathways that will generate and sustain new business. What is your lead generation strategy going to consist of? What kind of sales process are you developing, and how will your team qualify and manage sales leads and opportunities? What is your CRM strategy and what methods will you employ to implement and integrate it with your website, marketing automation and mobile sales enablement needs? How will you create and manage your initial inside and outside sales teams, and what processes or best practices will you use for training and coaching of your sales people? Your marketing strategy needs to encompass a series of critical components, beginning with your brand vision and brand promise, upon which you will build your value proposition and brand strategy. What are your intended competitive differentiators, and how will you protect and advance them? What is your product design and packaging strategy, and what target markets will you pursue early on to build traction, then later to drive expansion? How will you create market engagement and adoption of your solution through your brand's messaging platform, social media and web, video and mobile marketing? Will you employ inbound lead generation methods and lead nurturing processes to develop and deliver content that strengthens engagement and market interest? How will marketing integrate with sales in order to deliver qualified leads and valuable sales opportunities through the pipeline? The business strategy for your B2B startup needs to encompass a clear picture of key considerations. What is your business model and upon what assumptions and requirements is it based? How have you assessed, identified and responded to specific target market opportunities? What is your competitive position and understanding of both current and future competitive differentiation opportunities and threats? How does your financial and operations plan help ensure that you can deliver on your brand promise and bring clear value to the customer? What options have you established and goals are you aiming for in order to achieve growth? Can you clearly identify the best exit strategy for the business? 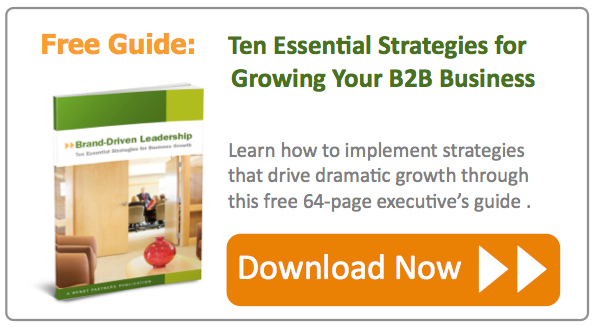 Building the leadership strategy for your B2B startup executive team, even before launch, is an essential element that will have an outsized impact upon your ultimate success. The selection and structure of your B2B startup team needs to balance the risk associated with an equity opportunity, against the strategic importance of bringing in the right people at the right time. What conditions will new executive hires face when they come on board? How will you ensure unity and alignment in the leadership of the company? What strategies are you prepared to employ in order to give the necessary tools, resources and assistance required to optimize outcomes? How can you 'connect the dots' so that each member of the executive team is clearly working in support of the others? What structure will you give to your leadership model (functional, market-based, matrix, etc. ), and once the company begins achieving growth, how do you anticipate scaling the management and direction of your people? In order to evaluate these four key elements in B2B startup growth strategy, we utilize a range of proven startup assessment methods, some of them tailored specifically for pre-launch startup ventures. We'll also examine the business model, startup and launch strategy, market-making potential and design approach of the business as a whole. In addition, every StrategyFirst assessment includes an opening and closing strategy meeting exclusively with the CEO, and a midpoint workshop with key startup team members, focused on the successful planning and execution of the business launch. By taking this time to focus on the launch and execution strategies for your business, you can position your new company to achieve successful and sustainable growth right out of the gate. The StrategyFirst Action Assessment will provide you with specific benchmarks and findings; a clear roadmap for achieving launch velocity; a summary action plan you can begin using right away; and recommendations for strategic decisions or opportunities that can guide your overall growth after launch and during the critical 1-3 year ramp-up phase. Startup companies have experienced client results that include a successful launch in a highly competitive market; a clear value proposition that led to rapid market adoption; stronger partnership opportunities for growth and expansion; the ability to exceed direct and channel sales goals; and successfully securing target financing and investment. If you're ready to succesfully drive results and lasting scalability for your B2B startup business, contact Wendt Partners and take this time to learn how you can reach those objectives through the StrategyFirst Action Assessment for Startups. Or, download the guide noted below to learn about the ten proven strategies at the heart of successful business growth.